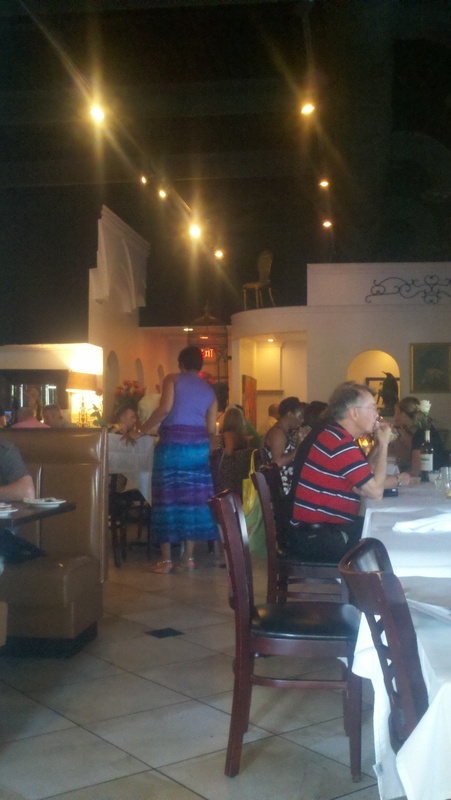 For those local dinners that have eaten at Caper’s, they have actually relocated from downtown Kennesaw, to a strip center at Old Hwy 41 and Barrett Parkway; but remain in Kennesaw. I had to visit to see if the quality would also move to the new location. Known as Capers On Main, owner Veronica Dudley may have moved to a new location, but rest assure, the same rustic, Tuscan charm still exist at this locally owned restaurant. Priding herself on savory food with a Mediterranean atmosphere, I cannot think of better food, better service and hospitality than I have received on my two visits to this establishment. (see review on www.dallas-hiram.patch.com). Veronica personally greeted guest in her colorful, festive dress. The immediate aroma was delightful; the faint smoky hint of charcoal made the appetite for a steak too intoxicating to resist. 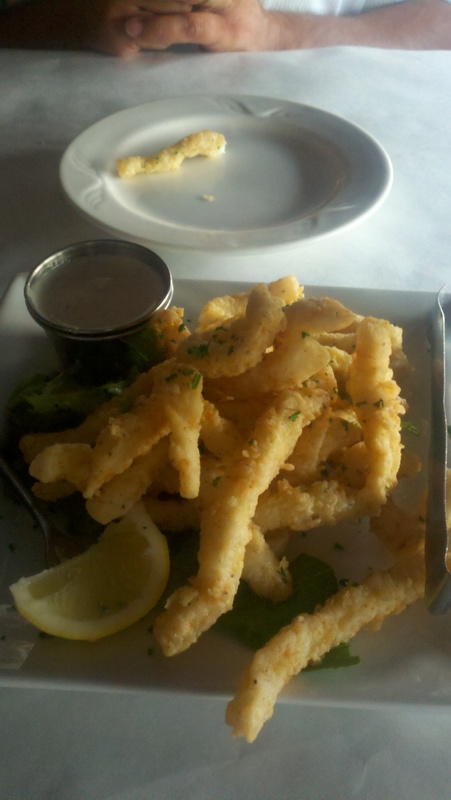 I began my meal with an appetizer of Calamari served with a homemade caper aioli sauce. Battered very lightly and quickly fried, the calamari was the perfect consistency and only the best portion of the meat was served. After such a crisp teaser, my entrée, one of the chef’s specials, Hawaiian rib eye with scalloped potatoes and asparagus was delivered at just the right synchronized time. The steak was a hearty portion and cooked exactly to my specification. My husband ordered a New York strip with crab cakes. The steak, once again, cooked medium, just as he had ordered. The freshness of the crab cakes was undeniable. The staff provided prompt, courteous service in their black, professional attire. Jason, our waiter, catered to our every need. As the quiet, faint jazz music played in the background, we enjoyed our wonderful meal in cozy wing-backed chairs. Design detail is explicit throughout the tables, chairs and ambiance of the restaurant. Although a full dessert menu is available, the special homemade peach cobbler with vanilla bean ice cream was irresistible. Severed warm, it was big enough for two. Overall, the menu has remained the same from one location to the new, with pasta, pork loin, ribs, lamb and duck all offered. Be warned, entrees are not served with salads and will cost extra if desired; however, this is the only negative I can find throughout the menu. Nothing was lost when Caper’s relocated. The size of the new location is the most notable change. Now much larger, Caper’s has a quaint bar area if you want to enjoy a glass of wine before you dine. A comfortable lounge area will soon be expanded so patrons can enjoy the jazz ensemble entertainment. Caper’s is a Kennesaw treasure.